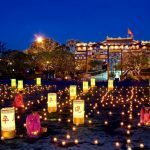 10+ pictures revealed the hidden beauty of ancient Hue city - Living + Nomads – Travel tips, Guides, News & Information! 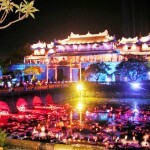 Located in the Central of Vietnam, Hue is known as a poetic and romantic city. 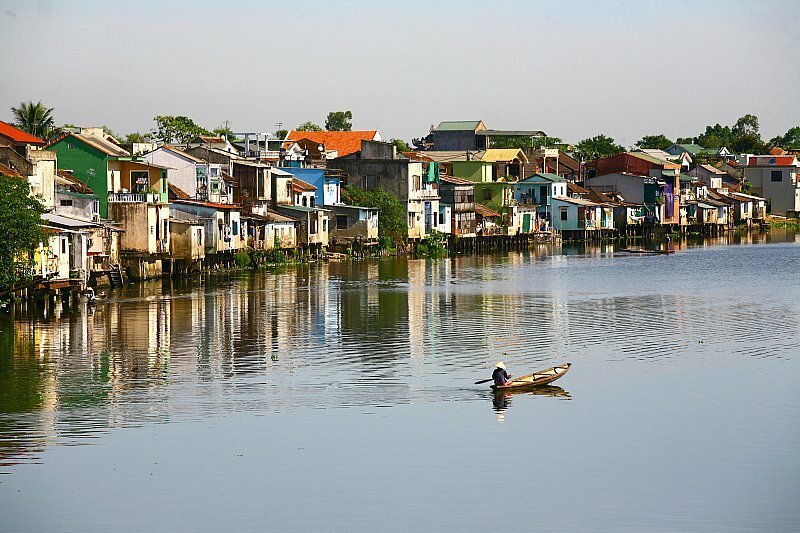 It used to be the capital city of Nguyen emperors in Dang Trong, the Tay Son and the Nguyen dynasties. 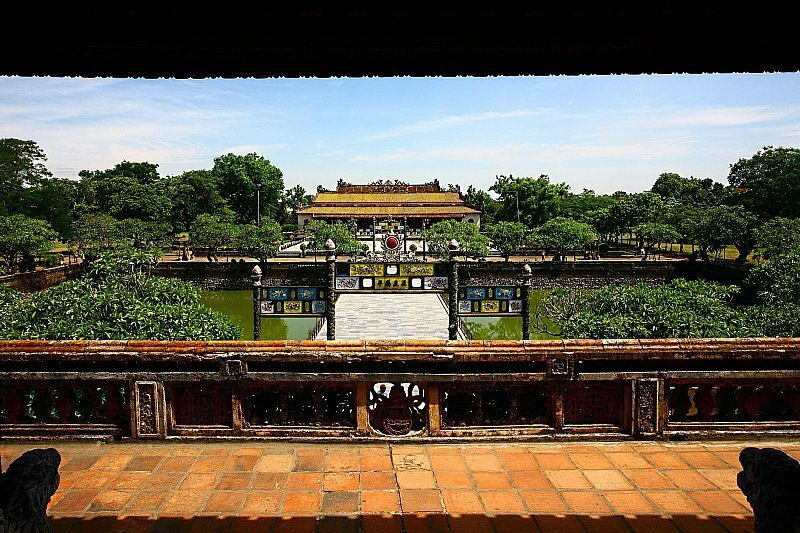 Hue holds many cultural and historical values and vestiges of the feudal era. 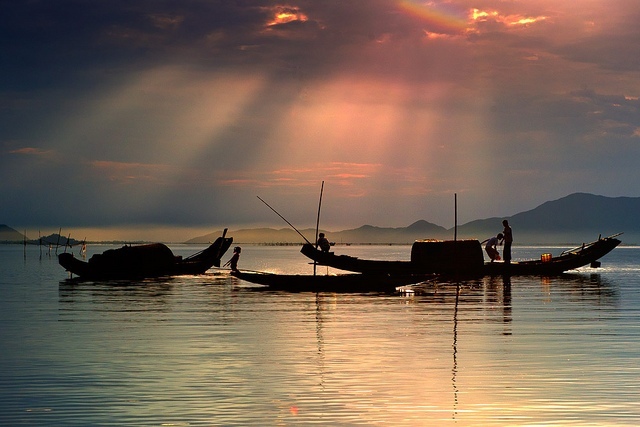 Although Hue is bestowed with many beautiful spots, it is most fascinating because of its cultural heritage. 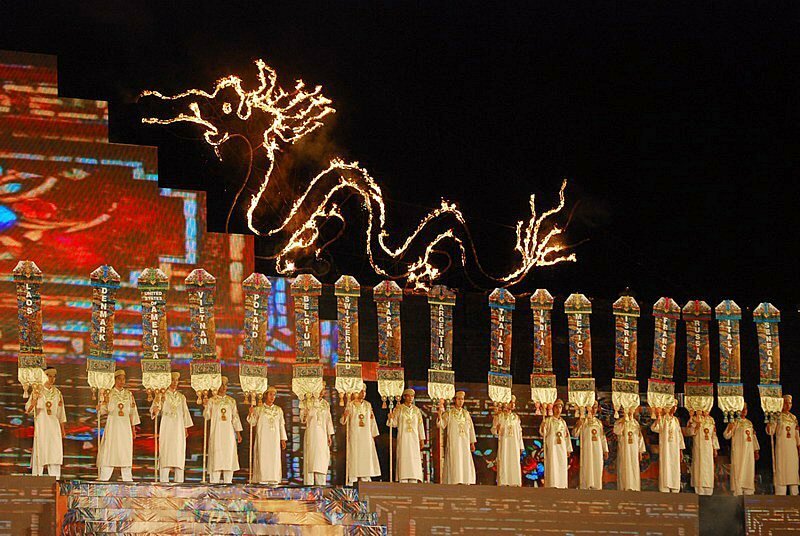 It is the meeting of cultural quintessence, which has created the spirit and particular character of Hue. 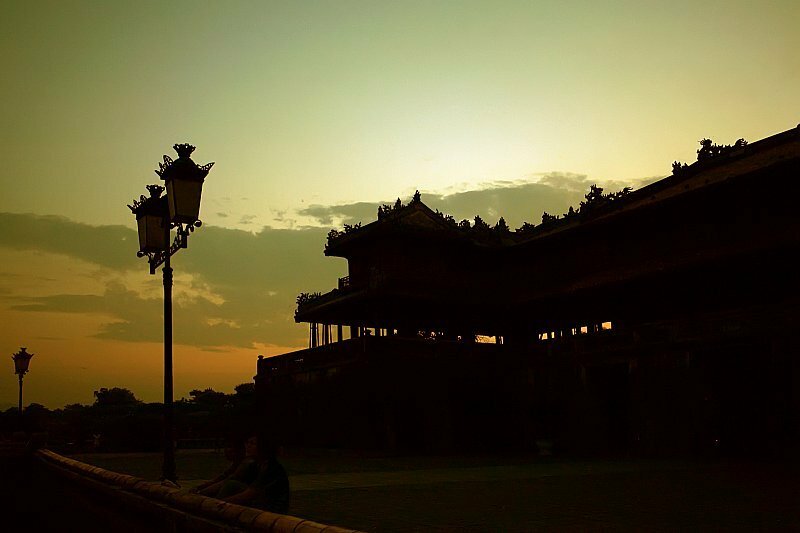 Despite many upheavals in history, Hue also enchants its guests with its elegance, peace and romantic beauty. 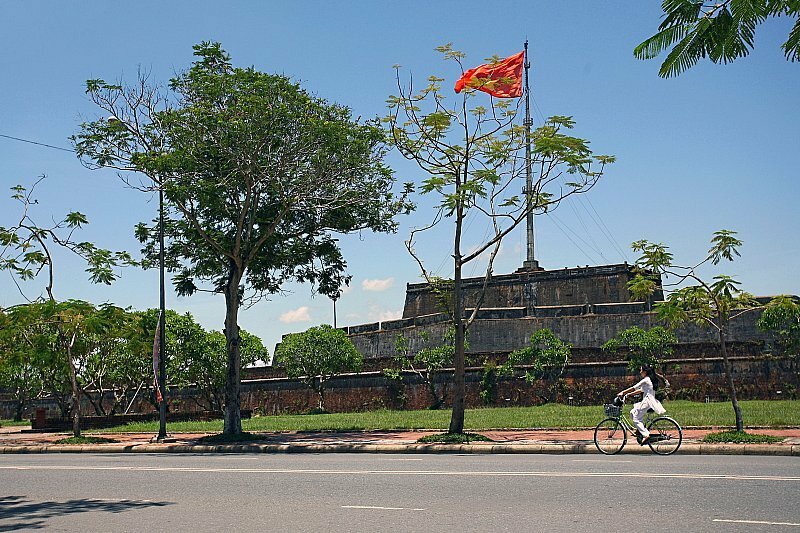 Hue’s values were the first recognized as a World Heritage site in Vietnam in 1993. 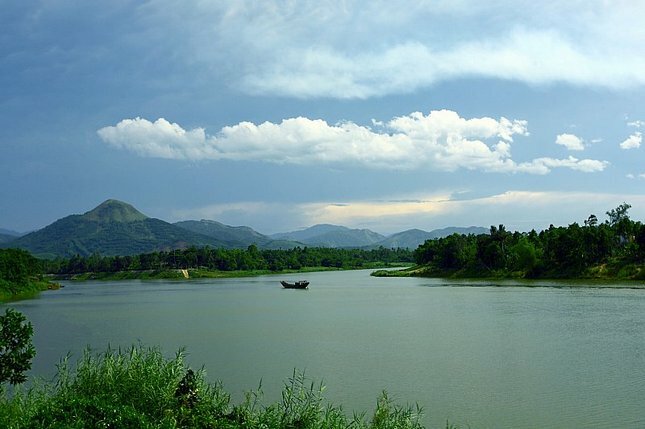 Presently, Hue is a favorite destination for both domestic and international tourists with its new identity as the The Festival City. 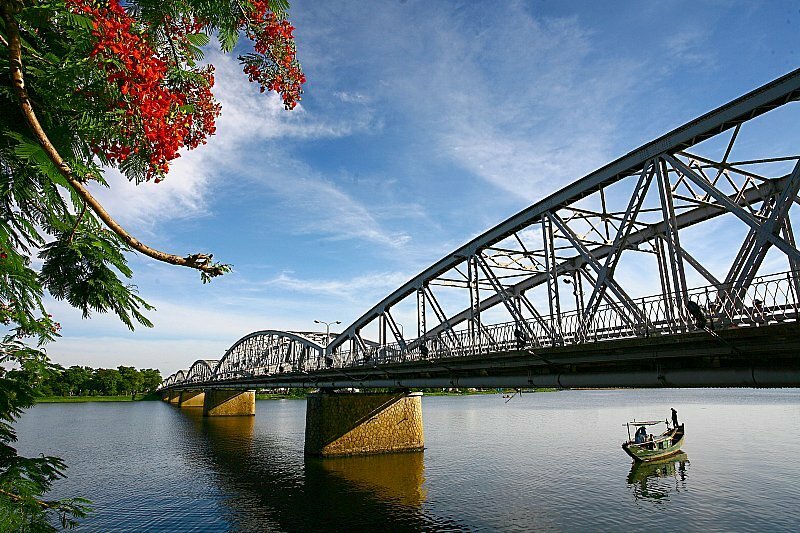 Thanh Toan Tile Bridge (Located in Thuy Thanh commune, Huong Thuy district, 8km from Hue city to the southeast). 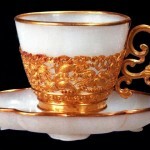 This is a special architecture has been ranked as a national relic. 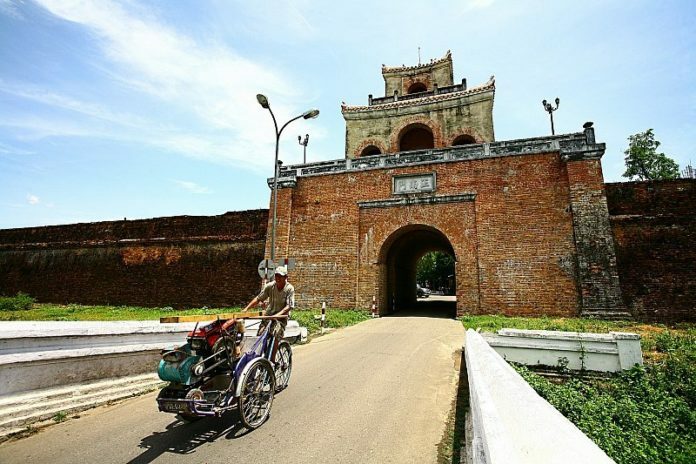 + Hue city of Thua Thien – Hue province is located on a national road, about 654km from Hanoi and 1,065km from HCMC. 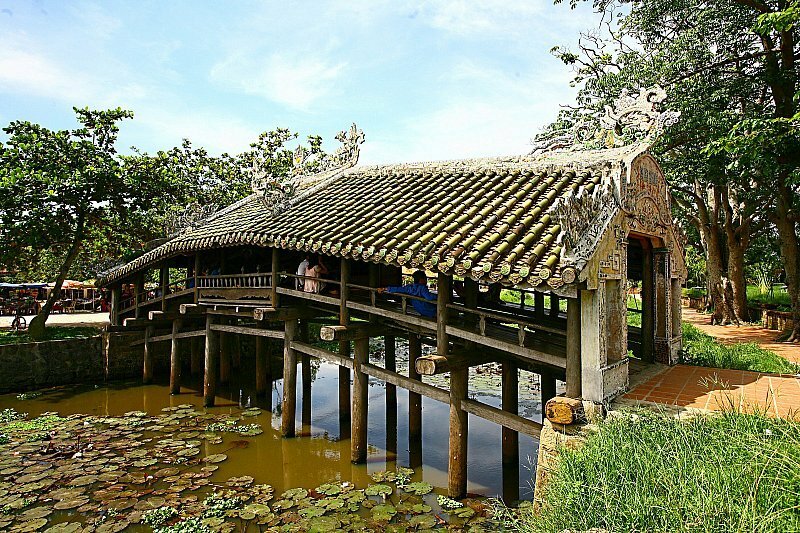 + Visitors can travel to Hue by train, car or plane. Passenger cars and trains also stop in Hue. 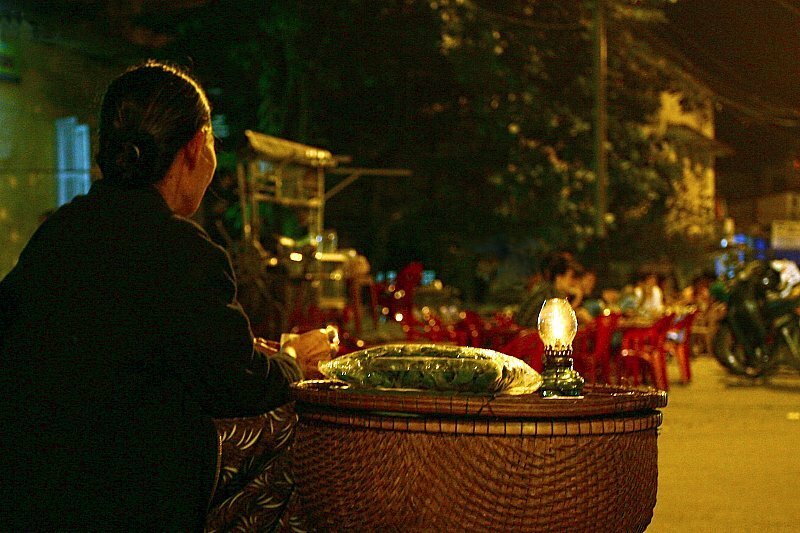 Vietnam Airlines offers flights between Hanoi/HCMC and Hue, Jetstar Pacific offers flights between HCMC and Hue. 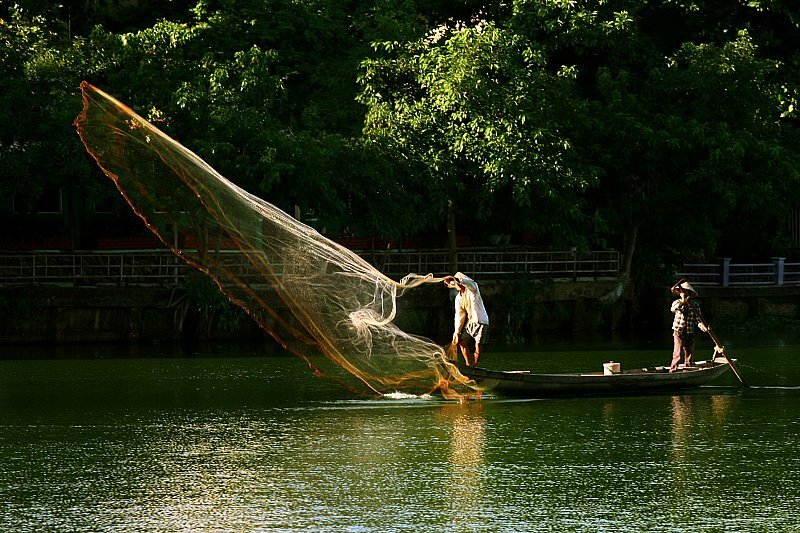 Train stations are situated in the city and Phu Bai airport is about 10km from the city. + Hue features many beautiful attractions: Dai Noi (Imperial Palace), Imperial City, vestiges such as Bach Dang Ancient Quarter, Chi Lang, Buddhist works of architecture, garden houses, traditional villages and Dong Ba market. 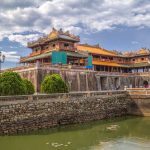 You can also visit other spots outside of town such as Gia Long, Minh Mang and Tu Duc tombs or go sightseeing on the Perfume river to villages and lagoons. 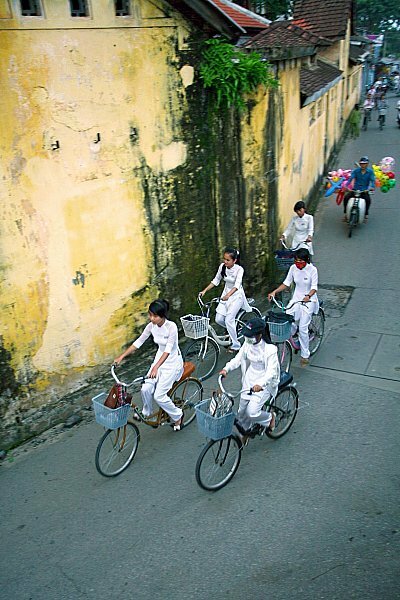 + You can enjoy Hue folk music on the Perfume river (with tours) or court music at Duyet Thi Duong theater in Dai Noi. 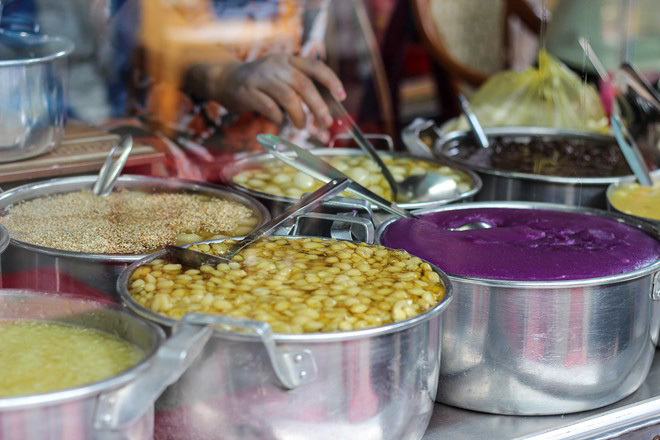 + The specialties of Hue are various and includes sesame candy, court tea, Minh Mang wine, soaked egg-plant and shrimp paste. 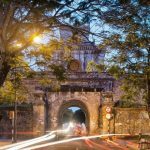 + Hotels in Hue are mainly located on Le Loi street and other neighboring streets in the Western quarter. 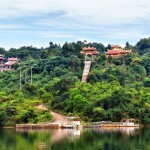 You can find, check rates, availability & booking for Hue hotels on Agoda.com or Booking.com.